We welcome you to our new website, where we have combined both Canter Lope and Thoroughly Painted Quarters into a one convenient online location. Being that both our stores are essentially under the same roof, we thought we would make your online visiting experience as positive as seeing us in person. 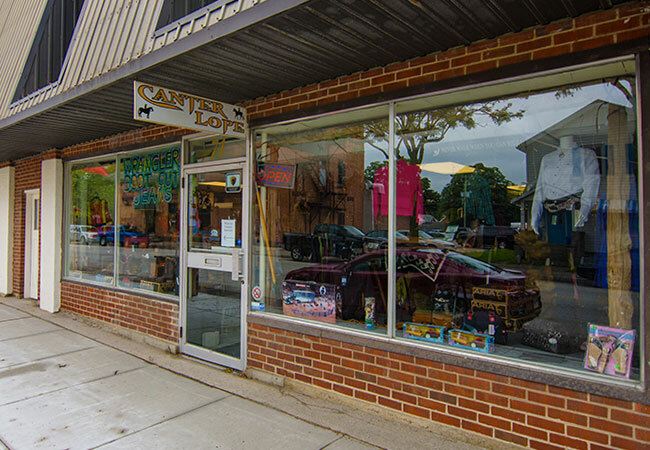 At Canter Lope, we continue to offer Western Boots, apparel, accessories and much more. 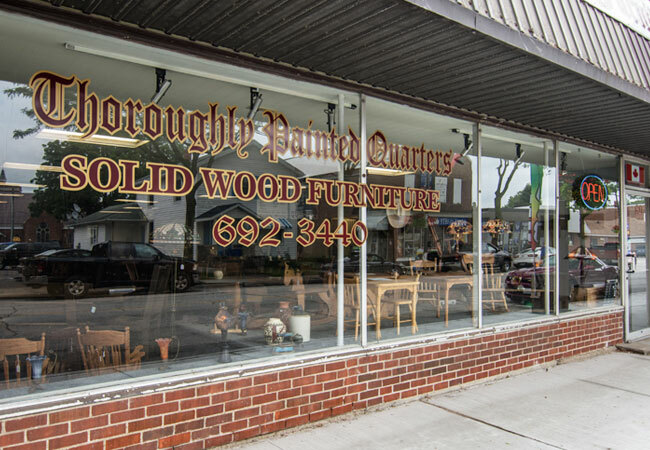 Across the hall at Thoroughly Painted Quarters, our inventory of fine handcrafted wood products simply has to be seen. You simply will not find quality like this elsewhere locally. We look forward to serving you and welcome any inquiries you may have! Drop us a line or come visit us in person! At Canter Lope, we carry products from the industry’s leading brand manufacturers. If you don’t see it, be sure to ask. Feel free to click some of the manufacturer logos to the right to visit their sites. Thoroughly Painted Quarters prides ourselves on our Ontario Made Quality products. From handcrafted local built furniture to leading hand crafted brand names, we carry and sell only the best. Click through the various links to the right for more information. Have A Particular Product Inquiry? We’re just a click away. Drop us a line & we’ll get back to you!